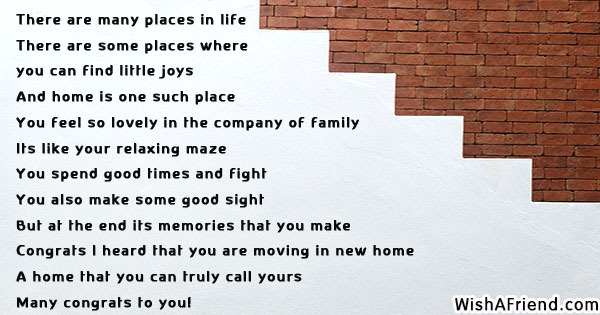 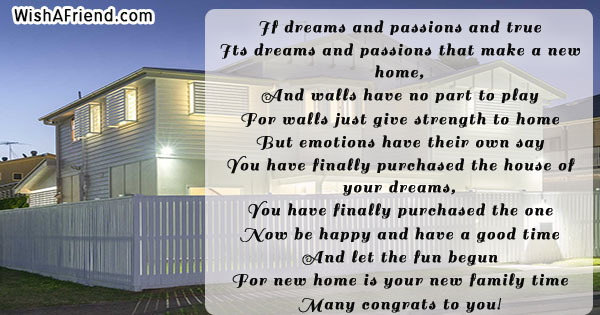 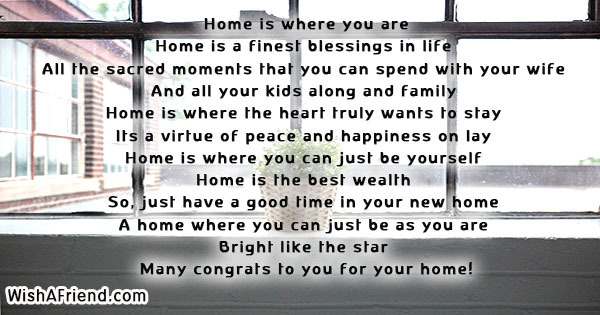 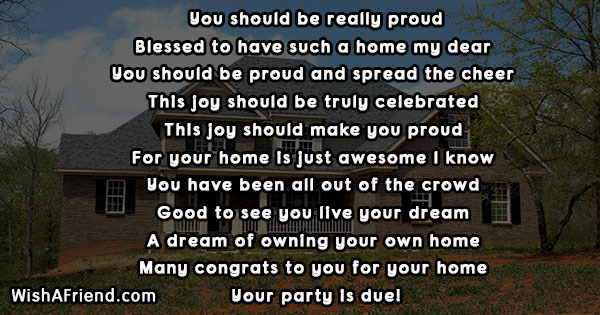 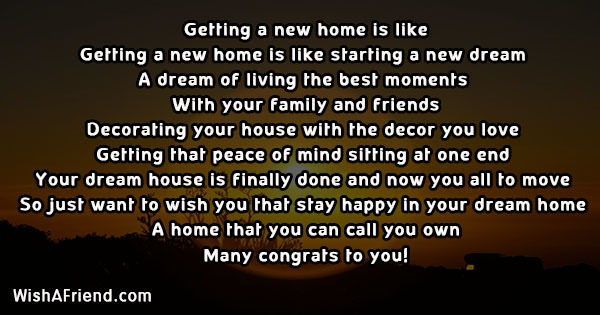 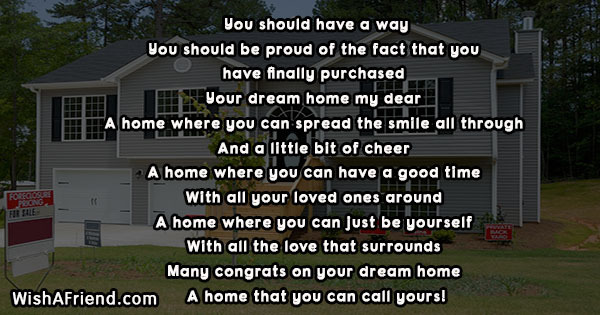 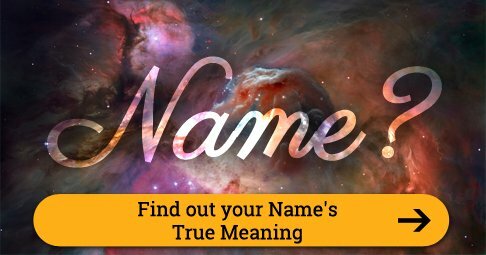 Congratulate someone for their new home by sending them messages and poems. 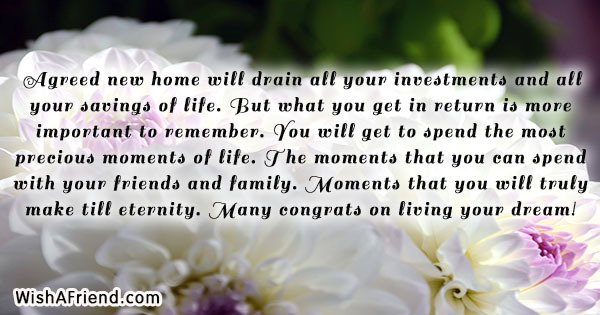 Share via Facebook, Whatsapp, Twitter etc. 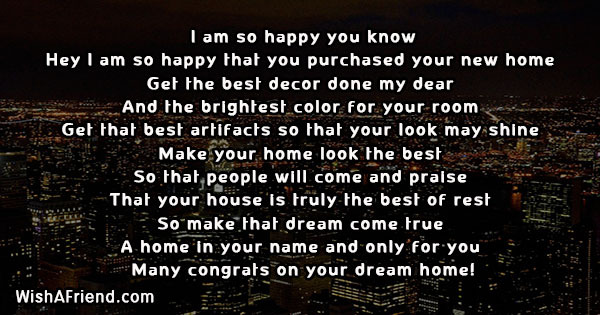 Many congrats to you for your home! 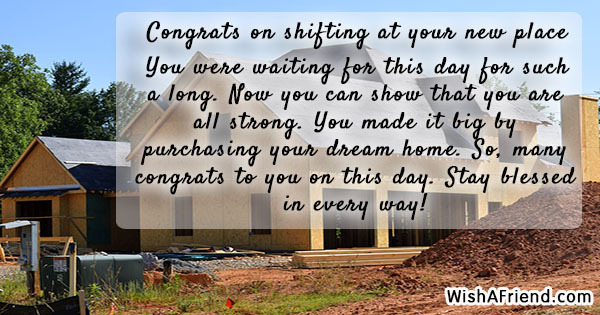 Many congrats on your dream home! 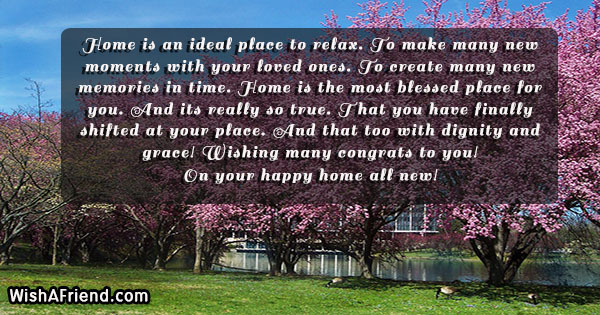 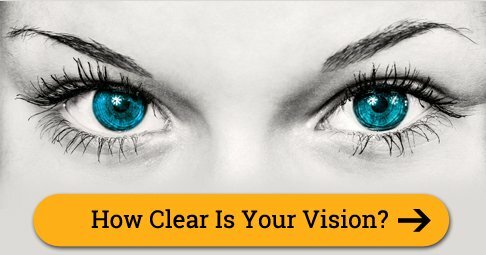 A home that you can call yours! 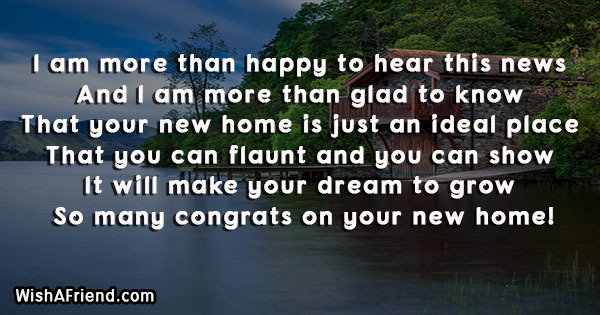 Many congrats on your new home! 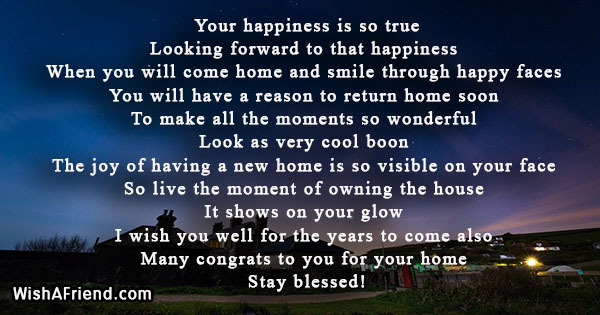 Wishing many congrats to you! 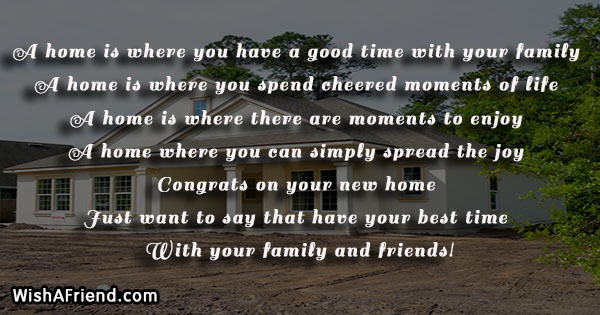 On your happy home all new! 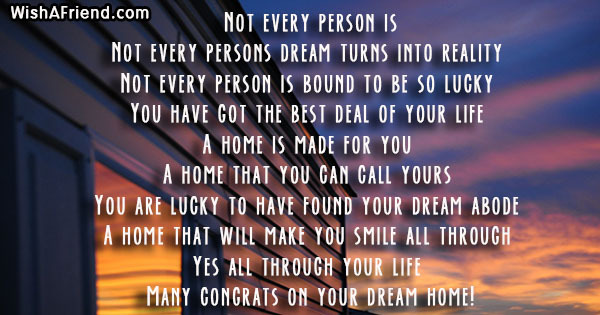 Many congrats on living your dream! 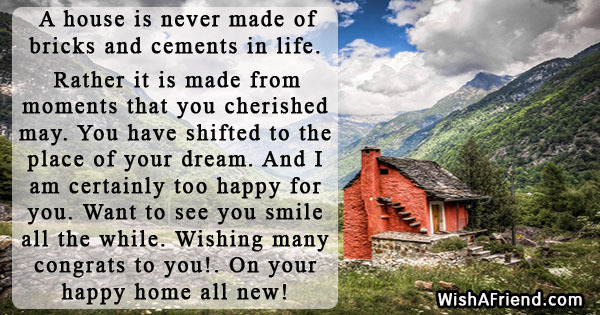 Stay blessed in every way! 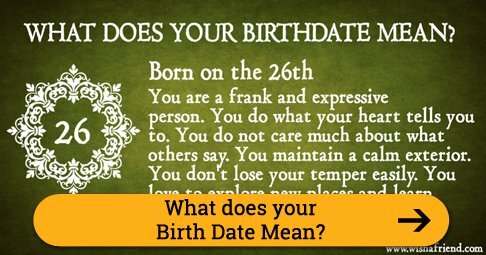 And that too with dignity and grace! 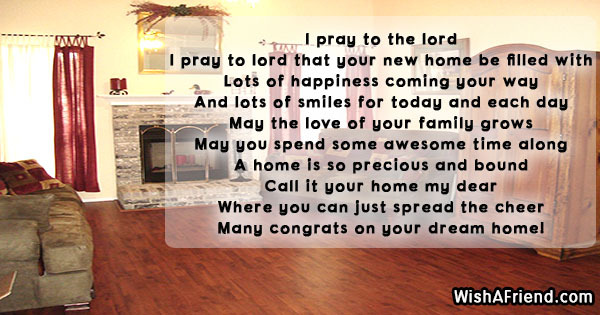 So many congrats on your new home!